We’ve all had those favorite dishes when we were a kid. For me growing up they were Sloppy Joe’s, Spaghetti with meat sauce, and Dreamsicles. As an adult when I get the occasional craving for those I’ll make them at home. 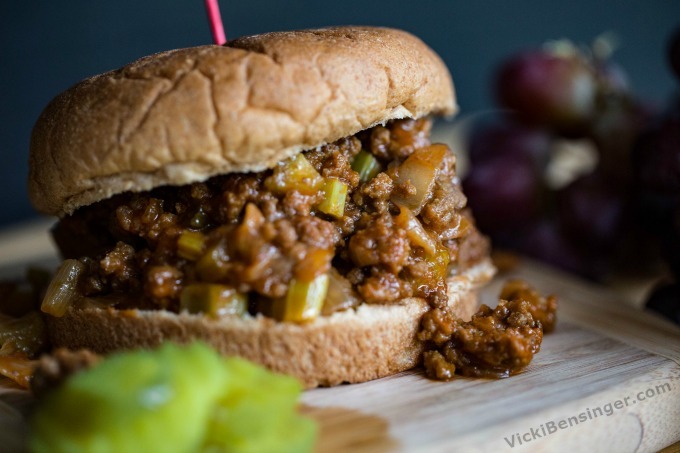 I first fell in love with Sloppy Joe’s in elementary school. 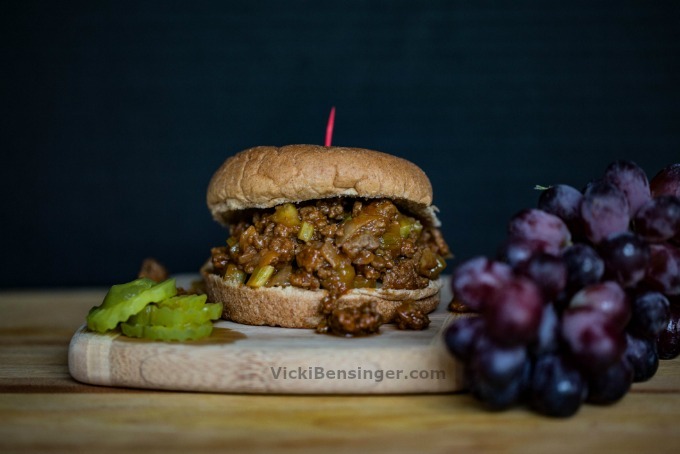 You’re probably thinking, “school food, yuck!” Yet, it took me years to find Sloppy Joe’s as good, until I discovered a recipe from a past co-worker. Karen Page & I worked as instructors at Viking Culinary Arts Center. 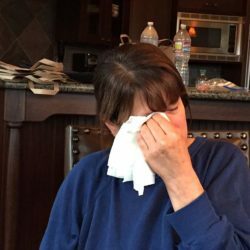 She created a charity cookbook with recipes from family, friends, and cooking classes she attended over the years. When I saw the recipe titled “Grandma’s Sloppy Joe’s I knew I had to give it a try. My first thought was the recipe had too many onions, and I wasn’t sure about the addition of celery. Karen claimed to have tried numerous mixes over the years, but none compared to her grandmothers recipe. 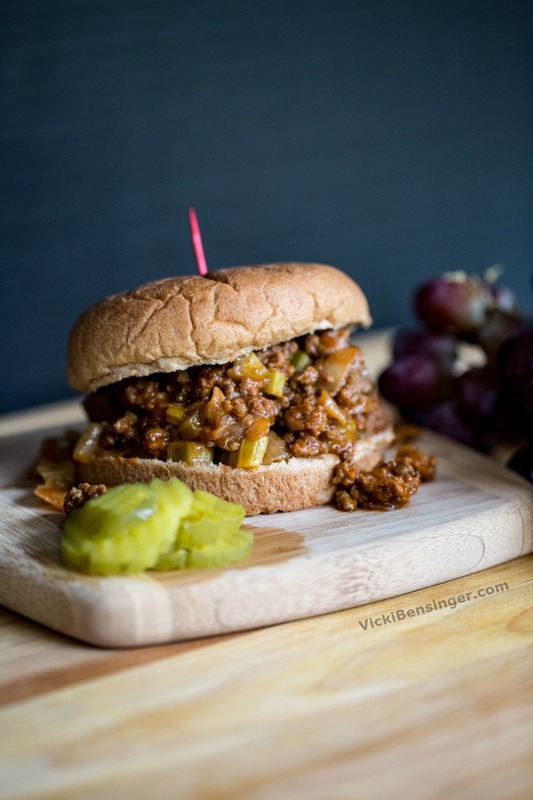 Thinking back on Sloppy Joe’s as a kid, I favored those over burgers because they were easier to eat. Ground beef mixed with a sweet tomato gravy on a soft bun, melted in my mouth. Who could resist? As a child it was challenging to bite into a thick burger. 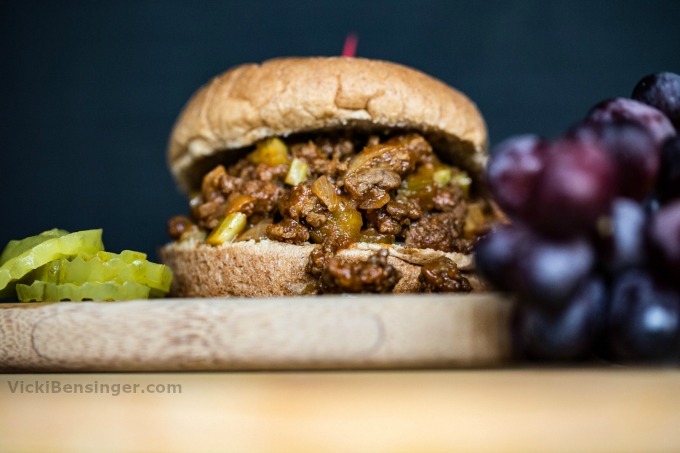 Basically Sloppy Joe’s is a hamburger chopped up with all the typical burger ingredients cooked together. 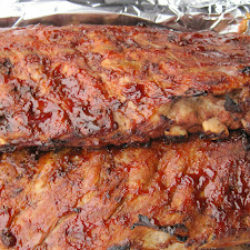 Once cooked it creates a luscious mound of succulent meat that drips off your bun and oftentimes down your chin! It brings me right back to my childhood, when days were carefree. Remember those? What’s your favorite childhood dish? 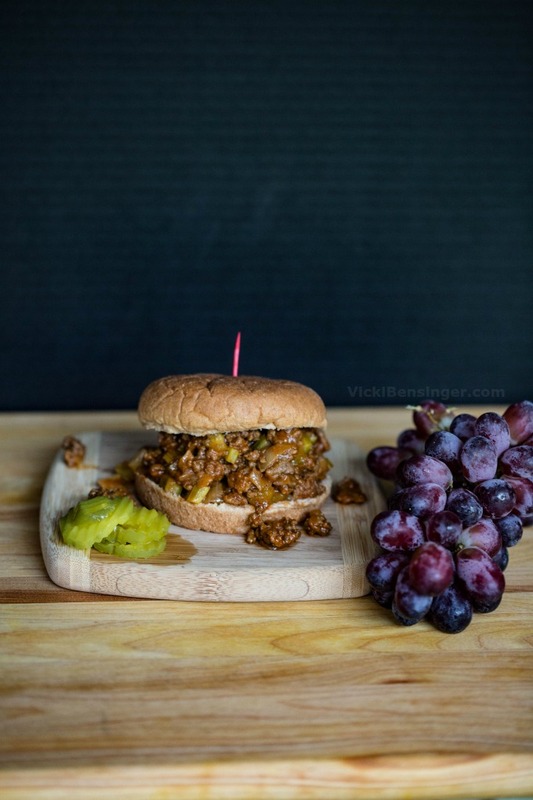 If you have a favorite Sloppy Joe recipe please share it in the comments below, I’d love to try it. Overall I practice healthy eating habits, but don’t claim a specific type of eating style. 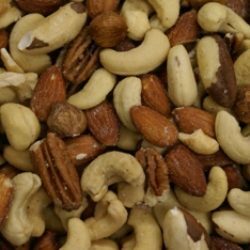 The bulk of what I eat is super healthy, and fresh sustainable ingredients. Occasionally when the urge strikes I will give in to temptation. After all, we’re entitled to allow ourselves the right to indulge from time to time – right? 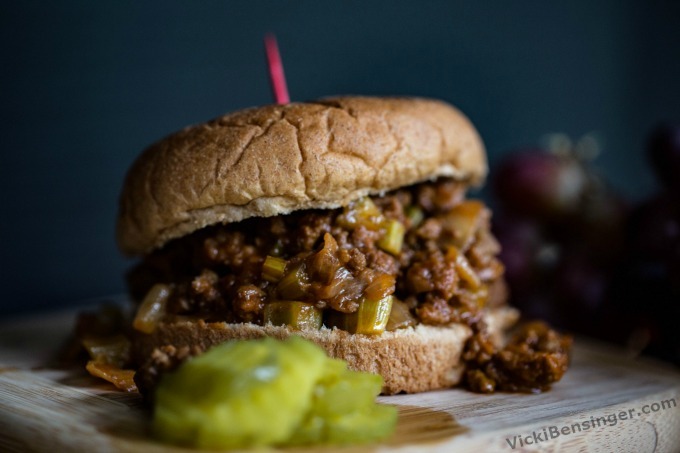 Take a walk down memory lane and sink your teeth into the Best Sloppy Joe's you've tasted in decades. Brown beef and onion together. Drain and add remaining ingredients. I think I would have liked sloppy joes as a kid if these had been served to me! My mom didn’t make them, but those I tried were made with an icky can of sauce. My childhood favorite dinner was a pork roast or rare roast beef. I loved rare roast beef as well. You mom did you a favor and fed you wholesome food. That’s why you’re still so skinny today! Love Sloppy Joe’s as a kid! 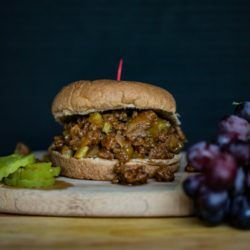 Actually have a kind of sloppy joe recipe for my blog that I’ve had on my schedule forever, and haven’t gotten around to making it (gotta be in the mood). Anyway, this looks great. Celery? Wouldn’t have thought it, but should give it a try. Thanks! Now you need to make that Sloppy Joe recipe so that I can try it. “Overall I practice healthy eating habits, but don’t claim a specific type of eating style. The bulk of what I eat is super healthy, and fresh sustainable ingredients. Occasionally when the urge strikes I will give in to temptation.” – You just described me. 🙂 I do look forward to those temptations! I can see how your Sloppy Joes are one of yours. They looks SO good! Thank MJ, they are so good. I’m a sucker for Sloppy Joe’s but then it’s hard to resist that type of food. These actually really are delish, even cold from the frig! My husband’s favourite too. Haven’t made one for him in years..I’d better hide this from him .-! 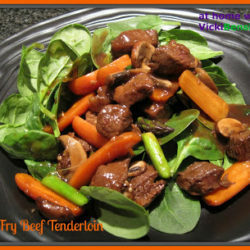 Angie this recipe is so easy, no need to hide except for the fact you eat super healthy and these well…maybe not as much.